For some reason, I've had really chapped lips recently and my standard lip balm wasn't quite up to the job so I had a rummage through my trusty "things to try" box and dug out my tube of Lucas Papaw Ointment, which I picked up at a trade fair a few months back. 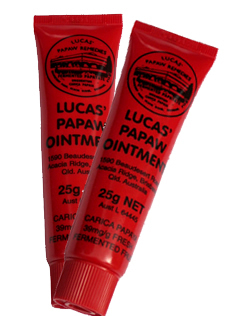 Lucas Papaw Ointment is a cult product, best described as Australia's equivalent of 8hr cream but with more natural credentials. It's a handy little multipurpose balm which can be used to treat boils, burns, chaffing, cuts, cracked skin, gravel rash, splinters, open wounds, insect bites and nappy rash- it's basically Ray Mears in a tube. And a handy tube at that- it's a good size at 25g as a little goes a long way and I like that the bold red colour makes it easy to find in an oversized handbag. 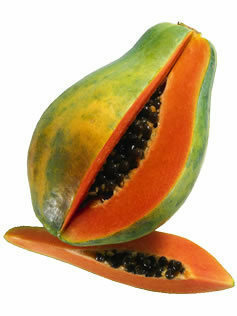 I don't actually like papaya but Lucas Papaw Ointment doesn't have a noticable taste, however, it has cured my chapped lips. It's no wonder that the likes of Alexa Chung, Cate Blanchett and Sadie Frost are counted as fans.